“If one were offered dinner for two at any price, to be eaten in any restaurant anywhere in the world, what would the choice be? And in these days of ever‐higher prices, what would the cost be?” the critic Craig Claiborne once asked in a restaurant review for the New York Times. His answer was a five-hour meal at Chez Denis in Paris, which Claiborne and his collaborator, chef and cookbook author Pierre Franey, won in a fundraising auction sponsored by American Express. In a spectacularly blase tone, Claiborne recounts a wine-soaked parade of haute cuisine staples, like oysters, caviar, lobster and truffles, foie gras with aspic, and sweetbread parfait, all of which he determined was not the worth the price tag of $4,000 (the equivalent of about $18,000 today, and for which he paid just $300). As I left a four-hour meal at the Grill, one of New York City’s most opulent and critically acclaimed restaurants, I was similarly unsatisfied, but instead of hungry, I felt unsettled. The Grill is the magnum opus of Major Food Group, a brash New York post-Recession empire built on absurdly expensive theme restaurants like Carbone, an Italian-American fantasia that has since descended on Las Vegas and Hong Kong, and the Polynesian, one of its most recent ventures, an attempt at the perfect tiki bar. The unsettled feeling wasn’t because of the price tag, which was $600 for two people — not uncommon in fine dining restaurants in New York City. (Dinner for two at Eleven Madison Park now runs up to $1100.) It wasn’t because of the food, either. The Grill’s interpretations of midcentury American dining at its peak were technically flawless — a foie gras appetizer that paired silky seared livers with an herbaceous onion sauce was staggering, as was the larded squab with smoky, sweet orange preserves. It was something else. As I reoriented myself on 52nd Street after dinner, looking at the golden glow of the dining room faintly reflected on the gray office buildings across the street and the row of black town cars with drivers waiting outside, replaying the four hours I spent inside, I realized that fully enjoying the Grill requires partaking in the luxurious nostalgia that it peddles — the fantasy of feeling like one of the wealthiest New Yorkers of the 1960s. The servers outfitted in white suit jackets designed by Tom Ford wheeling around silver gueridons and tableside flambe stations, the antiquated garde-manger station filled with towering displays of fresh fruit and vegetables, none of which you can eat — it was all designed to invoke the surreal sensation of being inside the most important restaurant in the country during the height of American global power. Every seat at the square bar was occupied as bronze rods dangled menacingly over drinkers’ heads and bartenders dashed back and forth in perfectly starched uniforms. The volume of the music and the conversation between diners was high, the tone lighthearted but standoffish. The atmosphere was disorienting — it was a party, but what were we celebrating? I did not feel any of the delight that most of the critics felt. Instead, I felt embarrassed by this nostalgia, and the fact that I had just participated in it. I wondered why, in New York City, one of the most diverse places in the country, I was one of two black patrons in a dining room at one of the best-reviewed restaurants of the past year on a Friday night; I imagined how those reviews might have been different if any of them had been written by a person of color. While for some, Kennedy-era Manhattan is an inspirational time, calling to mind gleaming buildings and uncut optimism, for others, it represents a bleak period of misery and oppression. The original Four Seasons opened in the space in 1959, five years before the Civil Rights Act was passed, meaning I might not have been able to eat where the Grill now stands; in fact, it’s hard to imagine that this space would have been quick to welcome black diners even after the act was passed. Or that its designer, the famed architect Philip Johnson, would want them there, given his history as a Nazi sympathizer. This is a context I cannot push to the back of my mind when dining. The critical success of the Grill speaks to the origins of modern restaurant criticism — of which Claiborne himself is the patriarch, even devising the Times’s star system — which was largely to tell upper and middle class, implicitly white New Yorkers where to spend their money on their next night out. 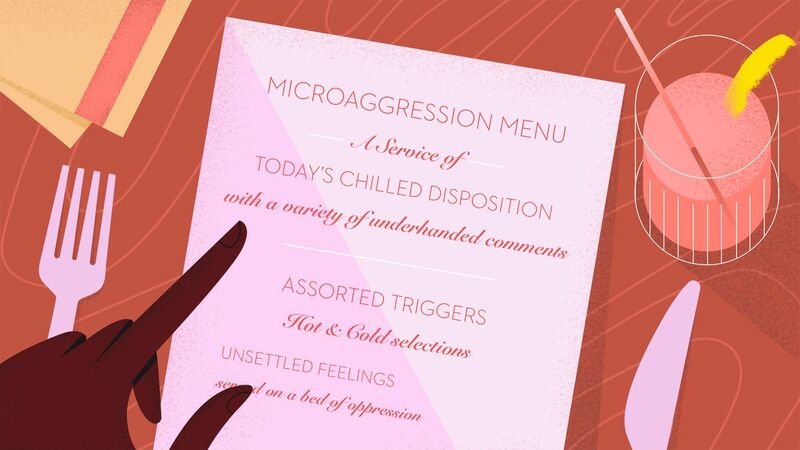 As a student of food criticism and restaurant goer, I’ve often thought about how being a black woman impacts my dining experience, and wished that more critics understood that experience. From being asked for a drink by white patrons to being told a different wait time for a table (or told there are none at all), restaurant dining rooms too often act in accordance with the same racial hierarchy as the rest of the world. I’ve been cut in front of as if I didn’t exist and been grabbed by a diner who thought I was ignoring her when she wanted another drink, or whatever she felt she needed at the moment. I’ve been handed the dessert wine menu at a bar because the bartender assumed I liked sweet wines, and been asked, “Have you had a Negroni before?” when ordering one — and even after assuring them that yes, I had, still suffered through a lecture explaining the concept of bitter flavor profiles. Experiences like these are constant reminders to people of color that they’re an “other” in dining spaces. Even my first visit to the Grill was a reminder that my skin didn’t fit in with the rest of the clientele. After angling in between groups of men in suits to order a Hemingway daiquiri with aged El Dorado rum, the bartender looked at me sideways and asked, “What do you do?” I lied and said I work in consulting. Apparently, I didn’t fit the profile of a Grill patron, or an aged-rum drinker. “You want to have the guy coming to the Four Seasons who has the ripped jeans,” the landlord, real estate mogul Aby Rosen, once told the New Yorker, and yet in my sweater and jeans, I was methodically scanned up and down by the people around me. In those moments, I want to ask the bartender why he responded to my drink order with a question about what I do for a living, just loudly enough to be heard by everybody around us, so they’d know what I’d experienced. But, as many black diners know, being in a dining space can often mean choosing between being ignored, interrogated, or assaulted. 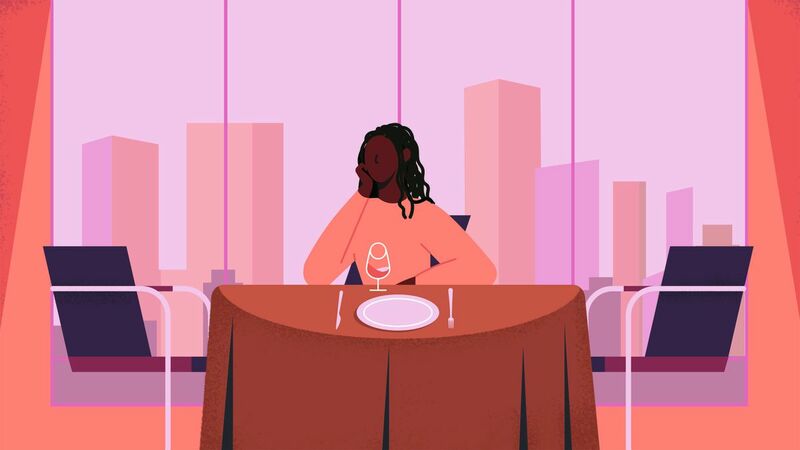 From being attacked while asking for silverware to being questioned for simply sitting at a table, there are plenty of ways in which restaurant experiences can quickly become unsafe for black diners. I suspect that the critics who loved the Grill have never had to negotiate these same realities. Months after visiting the Grill, I ate at Henry at Life Hotel by JJ, a pan-African restaurant by chef Joseph “JJ” Johnson, formerly of Minton’s and the Cecil in Harlem. The compact, handsome restaurant is in a generic hotel lobby near Madison Square Park, outfitted in dark woods with a low ceiling that makes the space feel like a basement. The menu is the culmination of years of travel and deep research on the African diaspora and its impact on the world’s cuisines. Here, Africa’s spices and cooking techniques are applied to ingredients from all over the world. The continent’s impact visible in dishes with global inspirations, animated like a breeze picking up dry leaves in autumn: Lamb kebabs are served with kimchi and roti bread on the side, while shrimp and pork dumplings are presented on a bed of fragrant yellow curry. Henry’s atmosphere felt like the New York that I see in my day-to-day life, reflecting the city’s racial, ethnic, and age diversity. Current Times critic Pete Wells also noticed it. “On many nights brown faces and white faces, topknots and braids, headscarves and headbands, sit side by side, giving Henry more the appearance of a restaurant in Harlem than of one just off Herald Square,” he wrote in the one-star review. His remark that Henry has the “appearance of a restaurant in Harlem” is meant to give the reader some context for the feel of the dining room, but reminded me of a Yelp review affirming a restaurant’s authenticity by noting the race of the clientele; it implies that a dining room composed largely of black diners is out of place in a midtown Manhattan neighborhood, even though some 24 percent of the city’s residents are black. Wells also noted Henry’s “seamless playlist of hip-hop and R&B” that “unspools” over the course of dinner, but for me it was an audible reminder that this is a black chef’s restaurant — not a restaurant that is playing black music for effect or ambiance, but showcasing the actual soundtrack of Johnson’s life, and the lives of many black Americans who grew up in the 1990s and early 2000s. A restaurant like Henry, with a black chef running a kitchen exploring the often overlooked and undervalued imprint that Africa has left on cuisines around the world, should be celebrated. Not only is a restaurant of its kind still far too rare in this city, but its success would inevitably pave a smoother path for other black chefs. Henry appeared on Wells’s annual list of New York’s best new restaurants, but the city’s critics have otherwise been largely silent on it. It raises the question of how critics decide which restaurants to fete — and why so infrequently, the kinds of restaurants they choose are ones that are comfortable for someone like me. Everyone has a culinary baseline, a set of flavors or foods they’re intimately familiar with as the result of their background. These baselines aren’t only racial, they’re cultural and geographical and can shift over the course of a person’s lifetime. Conversely, we all have culinary blind spots — cuisines or ways of eating that we’re not familiar with. The implied comfort critics found at the Grill, juxtaposed with their discomfort — or disregard — of Henry highlights the existing critical establishment’s overwhelming whiteness, and how its gaze favors restaurants that speak to that experience. But there’s some hope. If the end of 2017 marked the beginning of the critical establishment taking a good, long look at who gets covered, 2018 was the year that it began asking in earnest who gets to be a critic, and who they’re reviewing restaurants for. With the loss of Pulitzer Prize-winning food critic Jonathan Gold of the Los Angeles Times, and the retirement of the stalwart (and occasionally ethically dubious) critic Michael Bauer at the San Francisco Chronicle, new openings emerged for critics in two of the country’s most vital food cities. Tejal Rao was named the first New York Times California restaurant critic; Soleil Ho was named Bauer’s replacement at the Chronicle; and the Los Angeles Times picked up two writers to take over Gold’s food criticism duties, Patricia Escàrcega of Phoenix New Times, alongside Eater’s Addison. It’s a good start. Sure, the restaurant-criticism establishment remains mostly white, but three women of color filling roles that were traditionally reserved for white people does create some optimism about the future of the genre, in part because all three have written about chefs and communities of color deftly. Hopefully their coverage will expand the world of restaurant criticism in meaningful ways. But there’s more that can be done: There are still too few Latinx writers in food media, and the fact that there isn’t a visible black food critic with a culinary baseline rooted in black foodways reviewing American restaurants and adding to the discourse is shameful — speaking all too clearly to how closely food media has fallen in line with the lack of diversity in newsrooms across the country. And to move the conversation even beyond the male-female discrepancy noted by Rodell, nonbinary writers should also have the opportunity to add their experiences to the canon as critics. “Until there’s a diversity of voices in the world of restaurant criticism, chefs are going to feel that only one point of view is being represented,” Rodell wrote in 2017. I would add that readers also notice. The homogenous old guard, focusing its coverage on fine or “elevated” dining — and the select restaurants outside of those spheres that it has chosen to hold up in order to maintain the pretense of a fair shake — while often disregarding everyday Caribbean, Asian, South American, Mexican, and African restaurants, sends distinct messages to white readers (here are places you’ll like) and readers of color (your spaces don’t deserve coverage beyond a cheap eats section). Restaurant criticism is fundamentally cultural criticism and just as our society isn’t a monoculture, our restaurant critics shouldn’t reflect one. This piece was updated to mention Jessica Harris’s tenure as a co-critic at the Village Voice. Korsha Wilson is a writer and the host of A Hungry Society on Heritage Radio Network. D’Ara Nazaryan is a motion graphics designer and illustrator based in Los Angeles.